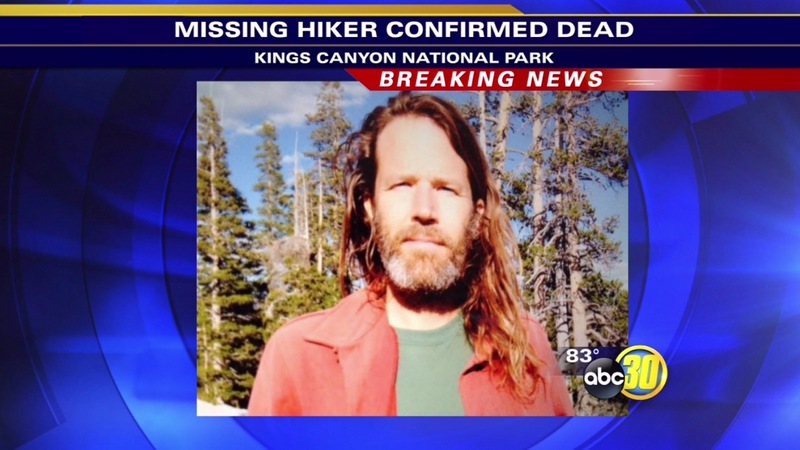 FRESNO, Calif. (KFSN) -- A body found in Kings Canyon National Park is that of an elementary school teacher who went missing while hiking. Investigators say Gregory Muck, 46, of Santa Cruz appears to have fallen in rocky and steep terrain. A ground search team came across his body on Wednesday afternoon. The National Park Service says Muck departed alone from the Roads End area of the park on Sunday, Aug. 10. He planned to hike a loop along the Gardiner Basin, which is a very rugged area.